Orleans House Gallery020 8831 6000work Film/TV LocationThere has been a building on the site of Orleans House Gallery since 1710. First built and designed by John James, the original building was quite plain in design. In 1716 however, the owner of the property, Secretary Johnson, wanted something more ornate and arranged for renowned architect James Gibb to design the Octagon Room. Many of its original baroque features have been retained today and together with a gallery space, stables and café, Orleans House Gallery is a popular location both for visitors and to the film industry. 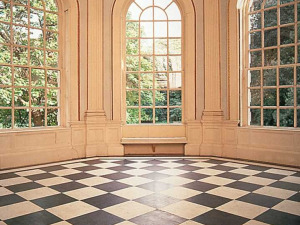 Orleans House Gallery has always been a popular location for film and TV productions. Most recent British dramas filmed here include Lewis and Toast of London. Feature film ‘Dance to the Music of Time’ also filmed here. There has been a building on the site of Orleans House Gallery since 1710. First built and designed by John James, the original building was quite plain in design. In 1716 however, the owner of the property, Secretary Johnson, wanted something more ornate and arranged for renowned architect James Gibb to design the Octagon Room. Many of its original baroque features have been retained today and together with a gallery space, stables and café, Orleans House Gallery is a popular location both for visitors and to the film industry. Toast of London is a British comedy television series starring Matt Berry as Steven Toast. The character is an eccentric middle aged actor with a chequered past.